We are no longer the City of Five Smells according to our Mayor, Ron Corbett. I wish I could bottle those non-existent smells because I totally would if it were possible. Cedar Rapids, Iowa has been, and always will be, the City of Five Smells. Some of the smells could be described as aromas. I mean who doesn’t love the smell we presume radiates from Quaker Oats, the smell of maple syrup or Captain Crunch, yum. Other smells such as ADM can only be described as putrid, questionable, and outright offensive. The worst smell of all though doesn’t have any odor and that is the smell of corruption. Perhaps the mayor could embrace the smells instead of denying their existence. For some these smells pay the bills and their very existence is comforting. Instead of denying the smells Mayor Corbett inspire a company like Febreze to bring in more jobs! I feel like the rosy, we are recovered, State of the City speech was a distraction from the bigger problems like the record debt, crumbling streets, and the talk about saving Ann Poe’s childhood home’s family fire pit over on Ellis Boulevard NW while the shell of the city owned abandoned home stands as a reminder that we are not recovered from the flood. Let us not forget that we still don’t have any reasonable “flood protection” for the west side that the media will talk about. Most people don’t know that the berm was stabilized by the City Corps of Engineers from Penn Avenue NW to N Avenue NW for $800,000 in 2010. The sewer system is finally being worked on as I type! I am still curious to see what the city plans to do about the storm outlet into the river on N Avenue NW. The water isn’t able to drain from the from the creek by Harrison into the river because the water flows from the river into the outlet! Some people who just want to move on from the flood aren’t totally recovered because they’re still being asked to pay taxes for land that the city desperately wanted to acquire. Our city can give their insurance company, True North, a $4 million dollar profit to acquire a property that they didn’t even own before the flood from our local option sales tax but they can’t clear up petty debt for these 18 homes? Click here to read that story! I wonder if these homes have city liens? Seriously, this happened on 6th Street NW. The city had mailing addresses for people whose homes were sitting there empty. Instead of mailing the homeowner a notice explaining that they were still responsible for things such as mowing their yard at their flooded out home, the city hung notices from overgrown bushes near the front door of the abandoned house. Many homeowners had no idea that the city was going to charge them by placing liens on the property being acquired! There is no doubt the mayor would like to think the city smells like a bed of roses but it doesn’t! He will have to accept the fact that our city always has and always will stink! He would like to think we have recovered from the 2008 flood but we are constantly reminded how skewed the city’s priorities were when we are reminded that rebuilt homes and churches have been demolished while the shell of Ann Poe’s childhood family continues to stand! That alone, stinks! 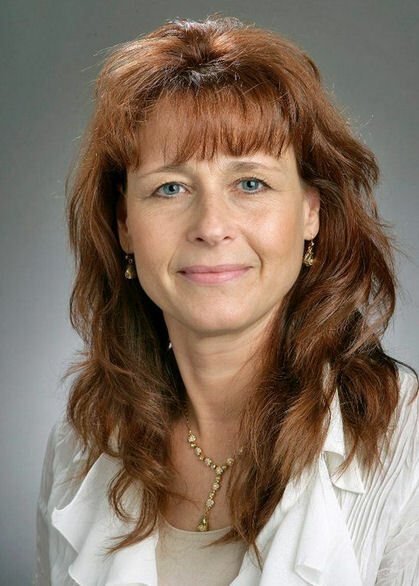 On Monday, February 25, 2013, Lisa Kuzela submitted to the Iowa State Ethics Board claims of conflicts of interest that Mayor Ron Corbett has violated Iowa Code 68B.2A which prohibits outside employment and activities. Those charges have been forwarded to the Linn County Attorney’s office. Corbett was the Vice President of Human Resources at CRST. John Smith was President and CEO of CRST International, Inc. and is currently Chair. David Rusch is the current President and CEO of CRST. Corbett supposedly remains employed by CRST, although questions remain as to if he actually works there or simply receives a salary under a fictitious position. Corbett has a personal interest through his official capacity of mayor which has benefitted John Smith and David Rusch at CRST which violates State Law. The most recent actions he has taken in regards to the casino have prompted me to finally file an official complaint and request for an investigation. My suspicion rose first when I learned who the investors were. They included John Smith and David Rusch of CRST. Two weeks ago I learned about the Agreement between the Cedar Rapids Development Group (“investor” group) and the Linn County Gaming Association (nonprofit group) which states that if there is any debt incurred on the land or operations, then a “third party” will cover that debt. I knew what that meant. Again, the city taxpayers will be subsidizing another facility. But this time, it will be for Corbett’s employers. Last week, I learned of the Memorandum of Understanding (MOU) (see attached) that Corbett approved at the October 9, 2012 City Council meeting. This Memorandum is basically a no-competition declaration stating that the City will exclusively support the Cedar Rapids Development Group, LLC and the Linn County Gaming Association, Inc. They will not consider anyone else who wants to bid for the gaming license. This created an environment in which there can’t be competition. A bid process would have been in the form of bidding a higher percentage of funds to go to the nonprofit who then allocates it to the community. By doing so, Corbett not only dishonored the residents, costing them tens of millions, but he secured that those proceeds will stay in the hands of the investor group, of which Smith and Rusch are investors. 3) secured that this investor group will make millions more (that otherwise would’ve gone into the community). Note that I don’t think that a bid process is required under law or regulations in this situation, however, through Corbett’s official actions, he has granted favor to Smith and Rusch of who Corbett is employed. This MOU agenda issue was a critical one for Cedar Rapids, yet was not only not discussed at the council meeting; it was noticeably inconspicuously placed on the consent agenda. No council member pulled it off to discuss, and it was passed by the simple vote of passing the consent agenda. In April 2012, I, along with others, attended and spoke at a House Ways and Means Subcommittee regarding Senate File 2217 – a $600 million bill for “flood protection” in which Mayor Corbett strongly lobbied for. At that meeting, there were two lobbyists from CRST. At the time none of us could understand why they were there. This bill, signed into law April 19, 2012, was so broadly worded that it allows any project to be funded under this bill, as long as part of the major project qualifies as “flood protection.” This includes a casino. Although the bill states the funds would be granted to the “governmental entity,” this city knows how to get around that. Three LLCs (Courthouse II LLC, Courthouse II Tenant LLC, and Courthouse II Manager LLC) were created for the former Federal Courthouse / new City Hall, in which they used all public funds to rehabilitate. By doing this, not only did the taxpayers end up paying more, but it bypassed any bidding process that was required by law with these funds and prevented transparency. There’s already an LLC formed for the casino – Cedar Rapids Development Group, LLC. I predict they will do the same with the casino – providing even more funding to the “investor” group – all with our tax money! 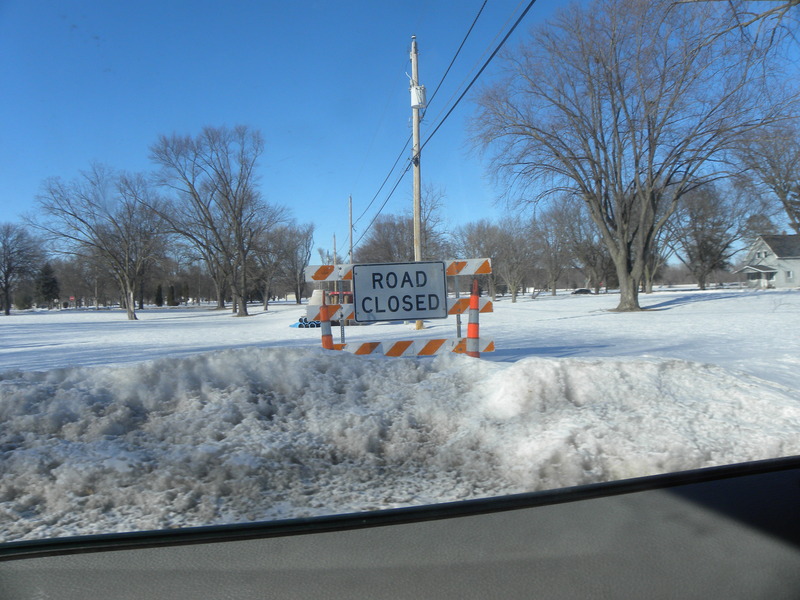 Now that the casino project is being pushed and John Smith and David Rusch have been named as investors, I think I understand now why a trucking company located miles from the river was lobbying for a “flood protection” bill. Currently, as I predicted, Corbett and Senator Rob Hogg are lobbying the Board (established under this bill) to have part of the casino project count as flood protection. However, if this is granted by the Board then, according to the bill, the taxpayers, rather than the investors, can be paying for the construction of the casino project with the appearance that the investor group (LLC) is paying for it. Sidebar: Each phase or subproject is capped at receiving $15 million through this law. In addition it requires a “local match.” However, the State received a waiver from HUD allowing the CDBG Disaster Assistance to count as a local match. Therefore, with this match, it allows Corbett to help fund up to $30 million per phase / subproject of the major casino project. Thereby, leaving the investor group, of which John Smith and David Rusch of CRST are investors, to invest very little, if any, toward the casino, obligating Local, State and Federal taxpayers to fund the construction of the casino. Recently, it’s been published that Ron Corbett has historically opposed a local casino. I even heard him say so at a dinner during his campaign at the Islamic Center in Cedar Rapids. He said that the market is saturated and it doesn’t make sense to have another one here. Now he suddenly supports a casino. Of course this sudden change of attitude about such a major issue is usually explained away politically, but when all these facts are pieced together, questions can’t help but be raised as to why he is now using his elected position as mayor to push through the casino upon which Smith and Rusch are an investors. Christopher Jordan Dorner a former Police Officer for the LAPD wrote a manifesto. before he went on his rampage in Southern California. We all know how it is don’t we? Corruption runs deep in every city, town, and state in America. No one is lucky enough to live in a corrupt free society. The problem with our corrupt society is that it has destroyed our sentiment and moral nature as a whole. Do you think this manifesto should prompt an investigation on the allegations made? 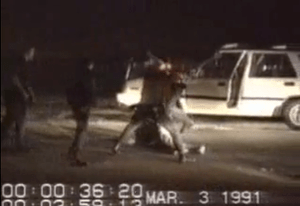 Should the LAPD be investigated? 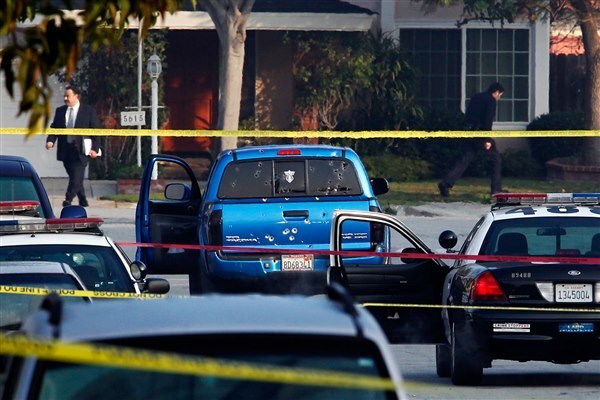 Should the LAPD admit to Dorner’s claims and end the rampage? Things we never imagined could happen have happened. It started way before Columbine, Waco, and Oklahoma City. We watched the World Trade Centers disintegrate live on television and every one of us knew something wasn’t right. The attack on the Pentagon still isn’t clear and none of the facts add up with the missing plane over Pennsylvania. Building #7 falling along with the twin towers without ever being hit by any airplane prompted ‘conspiracy theorists’ around the world who believe it was a planned demolition. I don’t know what to think of the former officers actions but I can say I don’t agree with his methodology. He sounded like a smart guy and it’s too bad he didn’t find another outlet. He could have written a book. We won’t know though unless he is brought in alive and from reading the manifesto the only way that would happen is if his name was cleared. I think that we can learn more from him alive than we can dead. 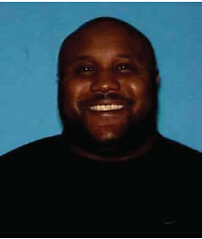 I would think there may be some validity to Dorner’s claims in his manifesto after two women were shot by the LAPD. “A name is more than just a noun, verb, or adjective. It’s your life, your legacy, your journey, sacrifices, and everything you’ve worked hard for every day of your life as and adolescent, young adult and adult. There is a Cedar Rapids connection to the cop watching journalist, Adam Mueller, who will face a jury in a trial next week on a New Hampshire wiretapping case. If convicted, Adam faces up to twenty-one years in prison. Adam Mueller aka Ademo Freeman, was the person in which I had exchanged a few emails with before the speech was published on Copblock.org. Adam or Ademo of Copblock.org is dedicated to voluntarism and police accountability. Adam’s charges stem from an incident he reported on that took place in a New Hampshire High School where a sibling spat turned bad when a Police Liaison slung the teen around and then slammed his head into a table at the schools cafeteria. I don’t know whether officials are charging Adam with wiretapping to teach him and people like him a lesson or if they are trying to cover up something bigger at the high school. In my opinion, the school should be looked into along with the police liaison over the school. As a mother I would be appalled if either one of my son’s were slammed to the table at lunch over teasing their sister with her handbag. I could see my kids doing exactly what these kids did which in my opinion is perfectly normal. Of fifty states, twelve of them make publicizing taped interviews a crime punishable by prison New Hampshire, the Live Free or Die state is on that list. One would think that in this day and age with all the technological advances we’ve made that these types of draconian laws would be thrown out. Adam’s supporters were there in the courtroom with him after standing outside the courthouse in protest. Adam is representing himself pro se (defending himself without an attorney) and his jury was chosen on Monday, August 6, 2012. A camera was allowed into the courtroom. 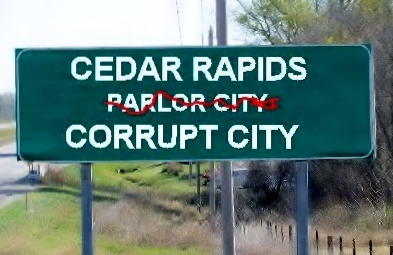 Is Cedar Rapids, Iowa Dragging America down with its Expensive Facelift? In June, 2008 the “city that would never flood” went 12 feet under and has dragged the rest of the country down with it ever since! The city invests millions of dollars on its east side leaving the west side without flood protection or investment. City leaders took advantage of FEMA funding to turn our disaster into an “opportunity” for themselves. Why does Cedar Rapids continue to receive FEMA funding when FEMA is BROKE? Officials started projects based on ‘potential’ FEMA funds were spent before any funding was approved or received..
City Officials had a plan. Instead of allowing people to recover, officials created and fostered a division between the East and West side of town. They have done this by design by burying residents/homeowners in red tape, drawing arbitrary lines through historical neighborhoods (120 year old tax bases), and blaming FEMA for drawing the lines through the neighborhoods and that they are at fault for the slow recovery. I called FEMA and they deny drawing lines through our neighborhoods and said that our city officials who applied for the buyout. I know this much is true. Cedar Rapids officials drew arbitrary lines in the name of FEMA and the United States Army Corps of Engineers (USACE) in the name of flood protection. Again, I called FEMA and USACE about the historical neighborhoods and both agencies say that the city, drew the lines. One man from the USACE even went as far as calling the scenario that I was explaining to him sounded illegal and would qualify as ‘coercion in a voluntary property acquisition’. Officials have since given property where the original property owners could not rebuild on to developers who can and will profit from after millions of tax dollars from FEMA and HUD were used to acquire the properties. Non-profits with incestuous connections and city staff have taken advantage of funding meant for disaster victims for their own profit. Buildings that were barely touched by flood water, like Public Works, will be razed (and replaced with brand new buildings) while buildings like the Time Check Recreation Center sit abandoned and untouched for the last three years. Millions of dollars of tax payers dollars have been invested/promised to a small area within a three block radius on the east side of the river in the name of “flood recovery” no one located in the Greedway or CONstruction (the areas people lived in) zone will be helped. Instead of being helped their Constitutional Rights have been violated and they are labeled as ‘stubborn‘ and ‘radical’ for wanting to save what’s left of the American dream. Please allow me to explain my position. I love my 111 year old riverfront home in NW Cedar Rapids. The city offered a buyout. This buyout was supposedly ‘voluntary‘ but people who lived in my area were denied assistance. People were told they couldn’t rebuild. This after ONE major flood. People’s houses were ‘tested’ by environmental companies hired by the city who deemed them environmental risks. In turn city inspectors came by and wrote tickets for these houses being ‘nuisances’ so that FEMA funds could be used to demolish them. We were under a ‘revitalization’ program (more federal money) at the same time that this flood happened. In fact, our last inspection was to take place on June 17, 2008 because we were part of the Weed and Seed initiative in Cedar Rapids, Iowa. I did turn it in but got the run around over the phone. The house I refer to in this video was demolished before the homeowner was paid. The homeowner couldn’t back out of the buyout if they wanted to! I was born and raised in this city and I firmly believe that we would have fully recovered from the 2008 flood if we weren’t taken advantage of during this time of chaos. Many people were told that they couldn’t rebuild and were forced to move into houses they couldn’t afford. If given the chance to do it over we could have done this without tearing down our best houses because we are “can do” kind of people. Cedar Rapids residents have been fighting the city and FEMA and will continue to stand up for American tax payers because we understand the value of our freedom and know first hand how fast it can be taken. About a minute in Mike Augustine at a neighborhood meeting in NW Cedar Rapids complains about the mayor after mayor says tax payers won’t pay “diddly squat” in local newspaper. land purchased with funds from the FEMA Hazard Mitigation Grant Program (HMGP). FEMA rules do not allow construction of a flood damage reduction project or protection of lands purchased with HMGP funds. Alignments evaluated through this area, therefore, had to be set back accordingly and could not be placed near the river’s bankline. The following video is from one of the open forums put on by the United States Army Corps of Engineers in Cedar Rapids, Iowa. This is Larry. Larry’s house is gone while just two blocks away millions of dollars have been invested in a two block area known as Czech Village. What kind of village has no villagers? The “village of GREED”! This video is not a plea for donations because these homes are no longer standing. This video is to show the world that there used to be a Village here.